If Alexis Sanchez was going to sign a new contract at Arsenal, he’d surely have done it by now. The forward has just 12 months left on his current deal, and this summer will decide whether the club cash in on him or wait another year and lose him for nothing. The speculation surrounding his future has enjoyed a brief pause while the Chilean has been away on international duty at the Confederations Cup, where he has helped them to the final against Germany on Sunday. Wherever Sanchez goes, however, the rumours are bound to follow. The 28-year-old took part in a press conference with Chile, where inevitably, he was asked by Sky Sports’ reporter Bryan Swanson whether he could shed any light on his future with Arsenal. Asked Alexis Sanchez on the chances of him staying at Arsenal next season. Swanson then took things a step further and asked whether he’d be linking up with international teammate and the semi-final’s unlikely hero, Claudio Bravo, at Manchester City. 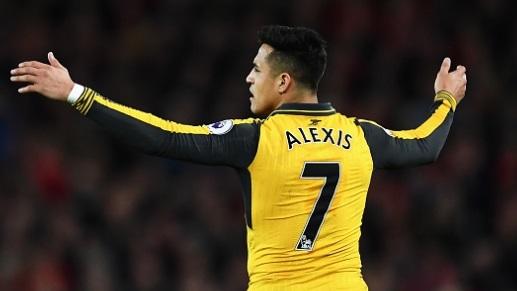 Sanchez is being frustratingly cryptic, as Arsenal fans would now just like to know one way or the other what his plans are – but they’re sure to find out soon enough.